Stormline Roofing Solutions we provide chimney installation and repairs all over Limerick, Tipperary, Clare. Stormline Roofing Solutions we provide all of our clients with top quality roofing, guttering and insulation and repairs to a wide range of customers from commercial and domestic customers throughout Limerick, Tipperary and Clare. 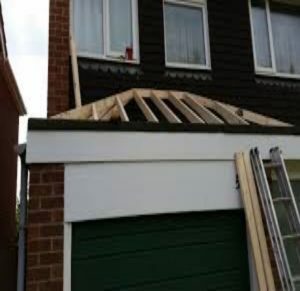 Roof Repairs | Flat Roof | Roof Leaks | Guttering | Fascia and Soffit | Extensions | Roofing Experts. Stormline Roofing in Cork, Tipperary, Limerick and Clare, Galway. Covering all area’s of Cork, Tipperary and Limerick City and County. Stormline Roofing Solutions Quality Roofing & Guttering Services. Roofing serving providing quality roofing and roof repair services. Stormline Roofing have built a reputation of excellence with years of experience in Roofs, Slating Repairs, Roofing, Re-roofing. All Roof Repairs. Stormline Roofing are registered roofing contractors who have been serving our customers for over 30 years across Cork, Tipperary and Limerick. We are widely regarded as one of the top roofing contractors, we have a reputation of being an honest, straight talking company. A highly skilled team of roofers in Cork, Tipperary and Limerick, we have extensive experience and we can offer advice on all aspects of roofing & roofing materials. Stormline Roofing Solutions Roofing have a large client base and is an accredited member of CIF. Health and Safety is a major priority for us. All of our are trained to the highest standard and hold safe passes, skills cards, manual handling certificates necessary. We are fully insured for over 6 million and are C2 registered. All our projects are supervised personally by our experienced foremen. We are based in Cork, Tipperary and Limerick with over 30 year. All Roofing emergency in Cork, Tipperary and Limerick. Stormline Roofing were established in 1980, providing professional roofing and guttering services all across Munster. Since then, the company has grown and grown, known for their high quality workmanship and materials. We offer a variety of services, working on jobs of all sizes. Our team work primarily with domestic clients, however we also carry out commercial work. At Stormline Roofing Solutions, we know that emergencies can happen anytime, which is why we offer a 24/7 service. With offices in Cork, Tipperary and Limerick, Limerick and Tipperary, we travel all across the south of Ireland. Our company is 100% Irish owned and we buy our materials from Irish suppliers. Other Services provided for home owners and businesses in Cork, Tipperary and Limerick Clare and Galway. Experienced We have done a massive volume of tests, Fully Insured Professional Indemnity and Public Liability Insurances in place. Excellent Planning Grant Rate The vast majority of our proposals receive positive recommendations from local authorities. Successful Designs Our designs function and our track record in this regard is excellent. Wide range of Mechanical Unit and Drainage Area Surveys. This service is available to house buyers, Estate agents and Solicitors. This service is honest and detailed. C.C.T.V Surveying can be included on request as part of this service. 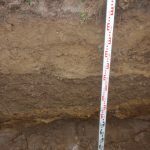 Tim came to our site that had failed planning because of the percolation test. He was able to advise us on council procedure and did what he had to do to pass.